At Global Merchant Solutions, we are careful about safeguarding your privacy and protecting your information against unauthorized use. The following statements explain our policies. Global Merchant Solutions provides products and services including payment card processing, check recovery services, cash access services, point-of-sale terminals and terminal management and support services, gift card sales and services and gift card processing. We may collect and retain information about our customers and contacts. This information is necessary in allowing us to provide our services or provide information about our services and company. It may be used for, but is not limited to, such activities as administration of records, execution of accounting and funding, and compliance with rules and regulations. 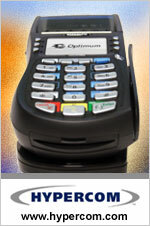 Global Merchant Solutions is the only party of the information collected. We will not sell, share, trade, or rent this information to others in ways different from what is disclosed within this statement or agreed to in our contracts with customers. We respect the privacy of our customers, contacts, and parties who answer our surveys and fill out our questionnaires. Global Merchant Solutions respects the purpose for which our site visitors gave us information. We give users choices and consent over how their personal information is used, and we will remove names and email addresses upon request. We will unsubscribe those who request it through an unsubscribe link in our emails. Most of our customers are businesses or other non-person legal entities. Most of the information we receive and collect is not of a personal nature; portions of the information we receive may include information about individuals as well as about the entities with which they conduct business activities. Regardless of the nature of the information, we regard all such information as “private” and take steps to protect its integrity and confidentiality. Portions of our services may be provided by organizations with which Global Merchant Solutions has a contractual relationship. We may provide collected information to these organizations. These companies agree to respect the confidentiality of such information, safeguard it, and abide by applicable law. In the event our business relationship requires Global Merchant Solutions to perform credit reporting, we may share your information with third parties. We may also be required to disclose personal information in response to requests by legal, governmental, or regulatory agencies with proper jurisdiction. At Global Merchant Solutions, we try to protect the security and privacy of the information we receive. We may provide links on the web site, via advertising and otherwise, to other web sites that are not under our control. We do not endorse or make any warranty of any type regarding the content contained on such web sites or products and services offered therein. We make no representation regarding your use of such web site. Please be aware that we are not responsible for the privacy practices of such other sites. We encourage our users to be aware when they leave our site and to read the privacy statements of each and every web site that collects personally identifiable information. This privacy statement applies solely to information collected by Global Merchant Solutions. Our web site does not provide content intended to attract or encourage the participation of children. We do not solicit or knowingly accept information from persons under the age of 18. To the degree reasonably possible, access controls are narrowly defined and authorized to restrict information access according to that which is necessary and consistent with the respective job function(s) of our personnel. Any suspected attempt to breach our policies and procedures, or to engage in any type of unauthorized action involving our information systems, is regarded as potential criminal activity. All suspected computer mischief would be reported to the appropriate authorities. Global Merchant Solutions will review its policies and practices from time to time and may make changes to these policies and practices as it determines them to be warranted. When changes are made that affect Global Payments’ Privacy Statement, this web site will reflect such changes. If you have a question or comment regarding this Privacy Statement, please contact us by email at info@gmscenter.com.